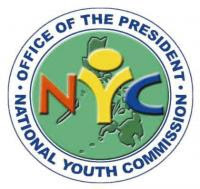 MANILA (Mindanao Examiner / Oct. 20, 2011) - The National Youth Commission on Thursday expressed sympathy to the families of those who died during the prolonged encounter between troops and Muslim rebels in Basilan province in Mindanao that claimed the lives of 24 people. Earl Saavedra, NYC Commissioner for Mindanao, said it is imperative to promote lasting peace in Mindanao. NYC also called for a culture of peace and tolerance among the Filipinos, especially the youth, as part of its new peace and development banner which is the Mindanao 2020 youth agenda. Saavedra said the NYC also pledged its support to government efforts in establishing an all-out peace in Mindanao and at the same time in championing the voice of young Mindanaoans. "It is important that we value the voice of the youth in Mindanao. The youth plays a vital role in ensuring a peaceful and developed society in the future where principles, beliefs, and cultures are respected. Let us ensure that this incident will not compromise the welfare of our people in Basilan and in Mindanao," Saavedra, who hails from Basilan, said.